Acrylic Sheet is a glazing, signage, window or display material that is unaffected by moisture, and offers a high strength-to-weight ratio. Acrylic offers high light transmittance and can be easily heat-formed without loss of optical clarity. Flame resistance: no spontaneous but belongs to flammable items, do not have self-extinguishing Good printing and coating High wear resistance, good stability and corrosion resistance to a variety of chemicals Have match the light transmittance of glass, and light transmittance over 92%. but the density is only half of the glass. The light is downy, clear vision high hardness and luster in the surface with good high temperature performance. Good process ability, both can be used hot forming, can also use mechanical processing way. 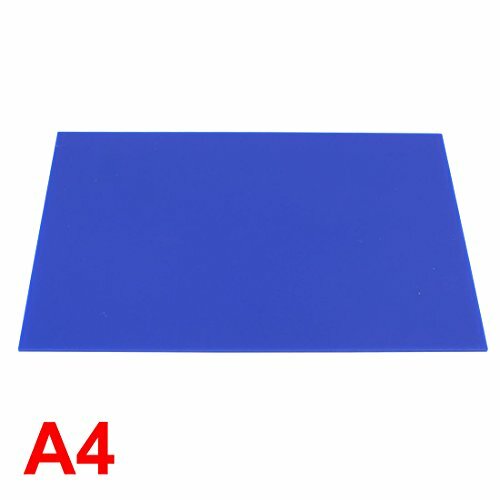 Notice: This offer is for your choice of a blue Perspex Acrylic sheet, the picture shows the panel without the protective film on but when delivered it will have, and the protective film must be removed before use.